In the UK, nice summer weather is very rarely in abundance. When those nice days come to us, its best to make the most of them. Our gardens are a great place to spend some quiet time among nature and beautiful weather. But when it comes to relaxing in this gracious spot, it is important to be accompanied with high quality, sturdy but also comforting furniture. 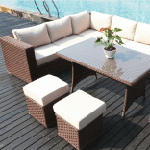 Rattan garden furniture is the perfect investment that fits all these requirements. Rattan garden furniture are appliances made from exotic palms with the guarantee of bold, long lasting strength, whilst still maintaining its visually pleasing ascetic and amazingly cozy feeling. 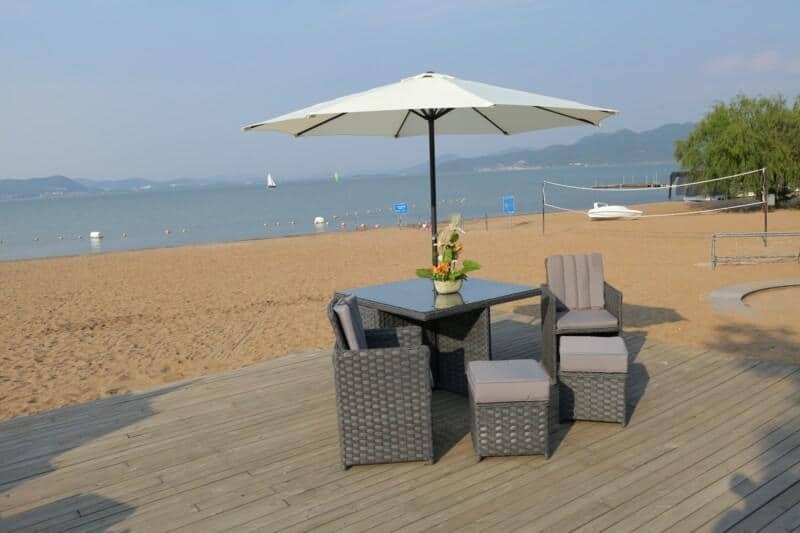 Rattan furniture is a perfect, cheap alternative to wooden garden furniture, Rattan has a more decorative style than wood and will blend in with nature because of its trendy forrest material. Mother nature will show no mercy to garden furniture made from low quality materials. Rattan Garden Furniture holds its beauty through all the elements thanks to its bold design and materials. As already mentioned, sunny days can be scarce in certain parts of the year. Whatever the weather, you will benefit from adaptable, diverse furniture like Rattan sets, that out live any spell of rain, wind or snow. Rattan is even resistant to UV lighting so discolouring is very unlikely. 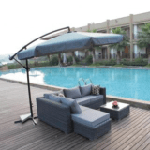 If you do wish to cover your furniture to preserve it further and ensure it is safe if you away from your home for an lengthy period of time there are special Rattan furniture covers which will hold your Rattan products quality within it. 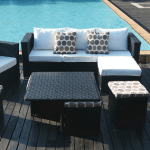 Rattan garden furniture is lightweight allowing you to rearrange the pieces around your garden as you wish, providing you the freedom to clear space when needed for bigger events in your garden if necessary . 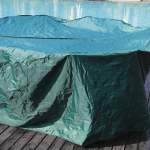 With their low mass along with the high durability of their material, This is extremely comforting if you have little ones roaming around the garden. If they come into contact with the furniture at any point, it will withstand any rough and tumble. Many types of garden furniture may require special care and preservatives to keep their fresh look. The Rattan range of garden sofas and dining furniture require the minimal amount of maintenance, leaving them beautiful in your yard for months on end. 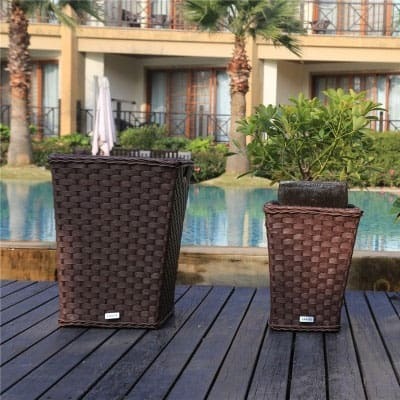 Rattan materials are even easy to keep clean, keeping the fuss out of your relaxation experience. 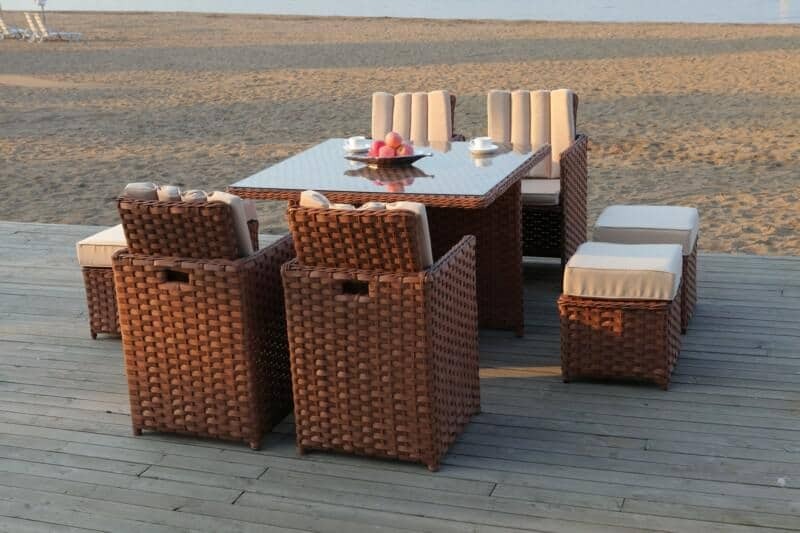 Rattan garden furniture sets are an ideal addition for the garden dining experience, with the light weight items allowing you to arrange the layout how you see fit. Rattan garden furniture comes in many shapes and sizes suitable for all types of families for any situation. Rattan is less rigid than other garden furniture, making withstand your weight but applying no strain on your body. 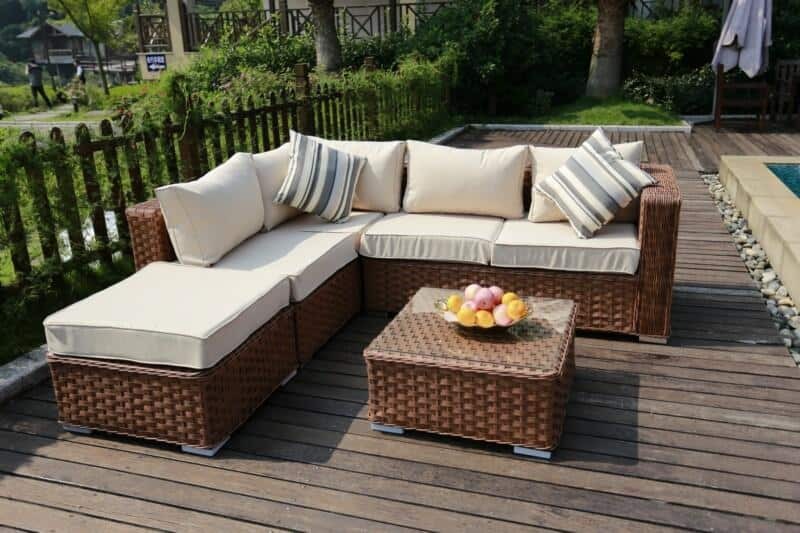 Rattan sets are supplied with waterproof cushions and extra paddings that can stay in rain if you don’t have time or space to move them. 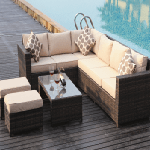 Rattan garden furniture sets are designed to be compact so they will fit gardens of any size, but the furniture being easy to move about allows each individual situated to adjust freely.